Children’s analogue wrist watch with themed plastic strap. Each watch features coloured numbers and hands on a white clock face mounted on a standard buckle strap with 3D decorations. 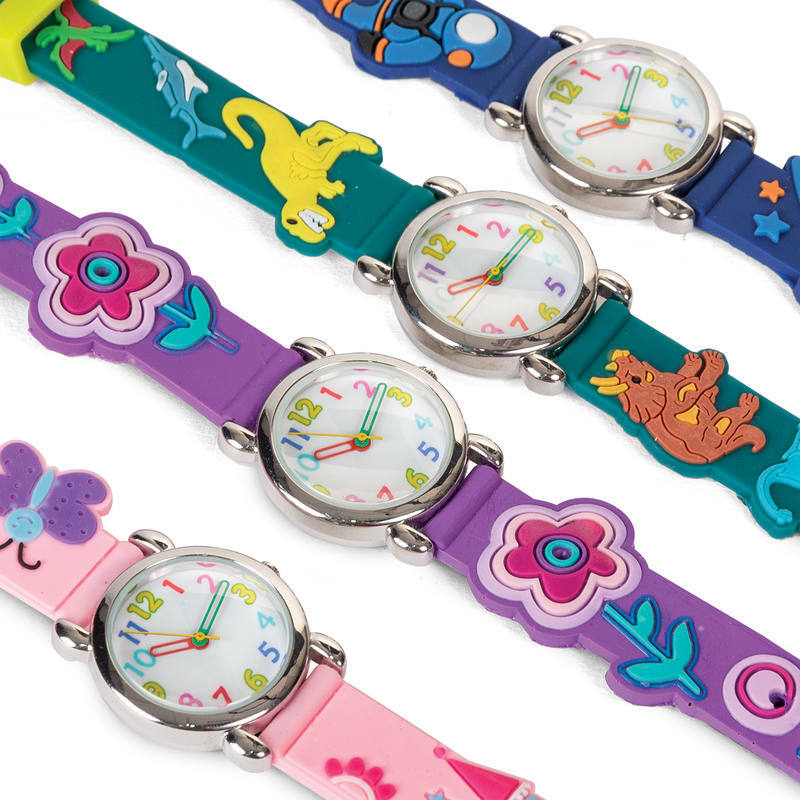 There are four different strap designs including space, princess, dinosaur and flower themes. Can be used like a slingshot with its stretchy legs.